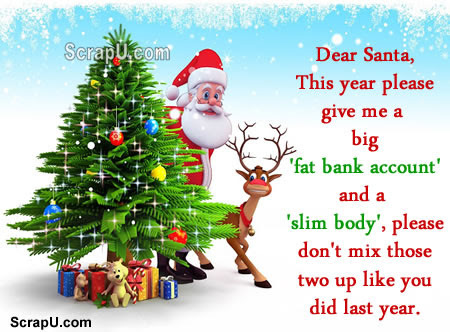 Dear Santa, This year, please give me a big fat bank account and a slim body, please don't mix those two up like you did last year. 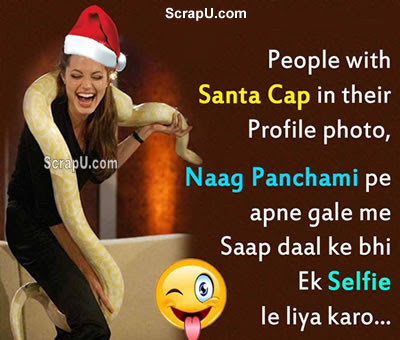 Single bells, Single bells, Single all the way. 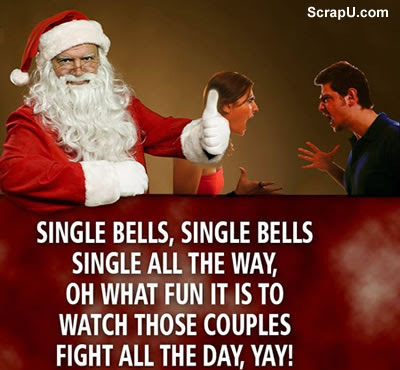 oh what fun it is to watch those couples fight all the day, yay! 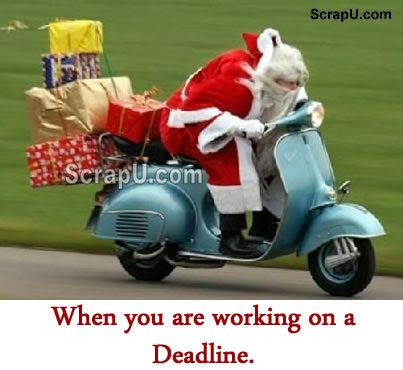 Santa Claus is working on a deadline. 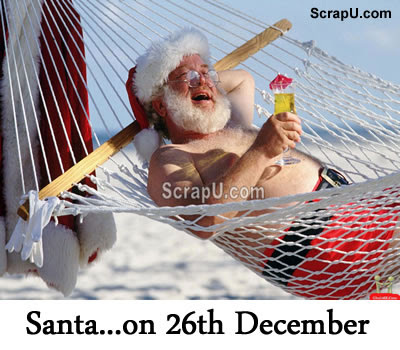 Its time relax a bit....or we should say relax for next 364 days.